While the story and the setting are always different, the main Final Fantasy games have a lot of reoccurring elements. 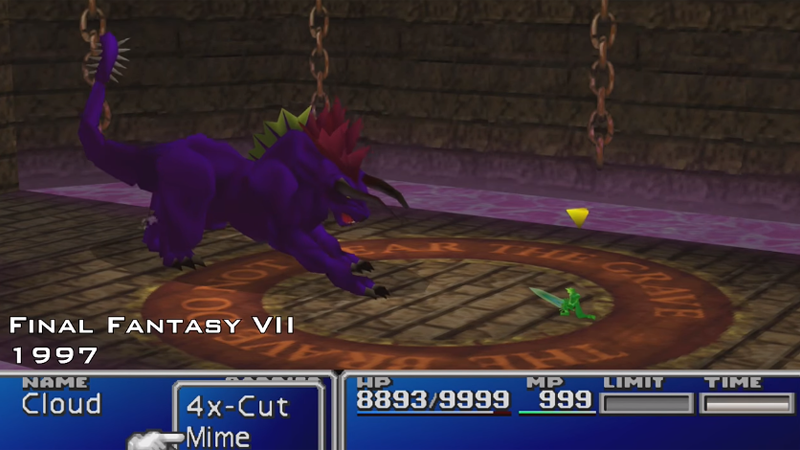 Behemoth is one of them, appearing in almost every game, and its appearances are a super way to track not just the evolution of Final Fantasy, but the progress of the entire medium. RinoaMoogleGames’ clip shows every appearance of the monster, starting with a very pixely 2D Final Fantasy II from 1988 and ending with some intense Final Fantasy XV footage. A lot has changed over these years! And no wonder Final Fantasy VII was so popular back then. Easy to spot the quality jump in the video from VI to VII and how it compares to other console jumps.